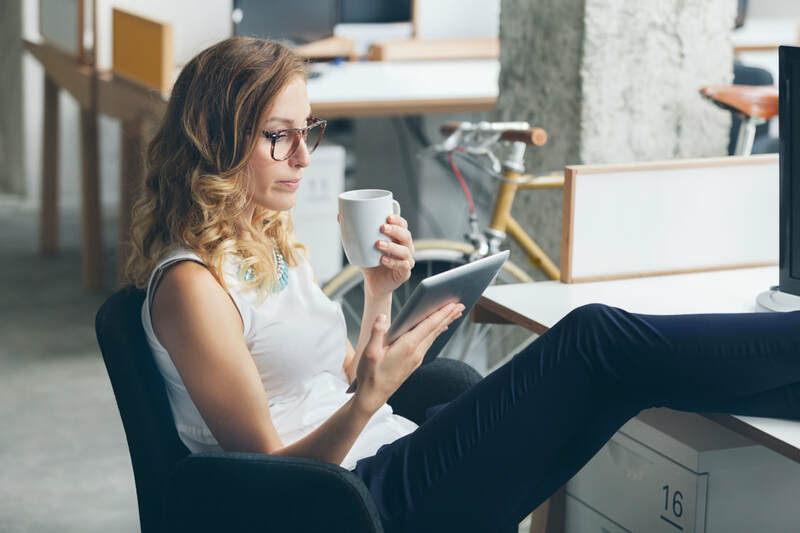 Blue provides advanced blue light defense in a premium anti-reflective coating, allowing your patients to work, play,​ and connect with confidence. When considering blue light reduction, it's essential to examine where a product offers the greatest benefit. 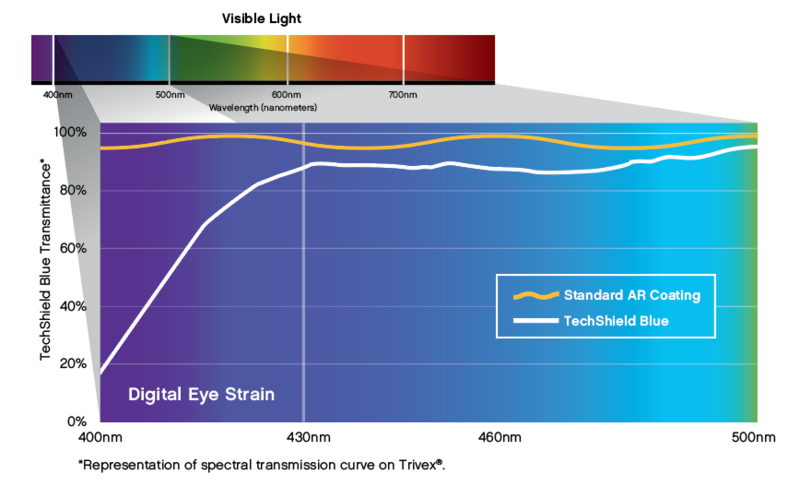 TechShield Blue targets blue light wavelengths associated with digital eye strain (400-430nm), reducing exposure by as much as 85% at its peak. Appearance matters.  That's why TechShield Blue was designed to enhance visual performance, as well as personal appearance. Front to back and top to bottom, TechShield Blue was designed to offer complete confidence and ultimate visual performance whether taking care of business or taking in a new best-seller. Take a deeper dive into the blue. Discover what's behind this high-energy light that's causing such a stir. *Available on all materials and designs unless otherwise specified by manufacturer. **ISO standard Bayer rating tests were conducted by an independent analytical laboratory in order to compare TechShield AR to the industry leading anti-reflective coating. Coating properties/attributes such as scratch-resistance, cleanability, adhesion, and durability were analyzed. 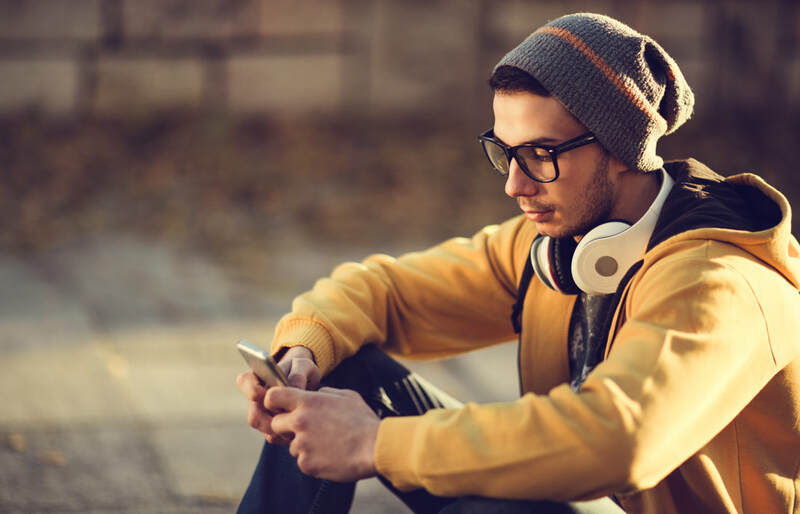 TechShield AR received overall superior scores to the leading anti-reflective coating.